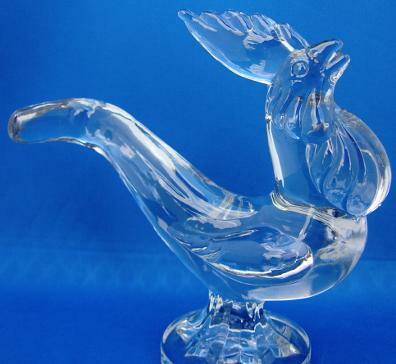 Rooster #668 — New Martinsville Glass - Circa 1942. Crystal. Measures 8” long x 8” high x 3-1/4 deep. Weighs 2-3/4” lbs. Fluoresces yellow. 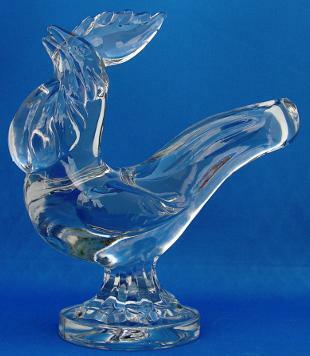 The bent-tailed rooster figurine is part of NM’s “Barnyard” series completed in 1942. This one’s in excellent condition. He might even wake you up at the crack of dawn!